is the classic example of an inexpensive regional folk food utilized by working-class folk and generally categorized as comfort food. 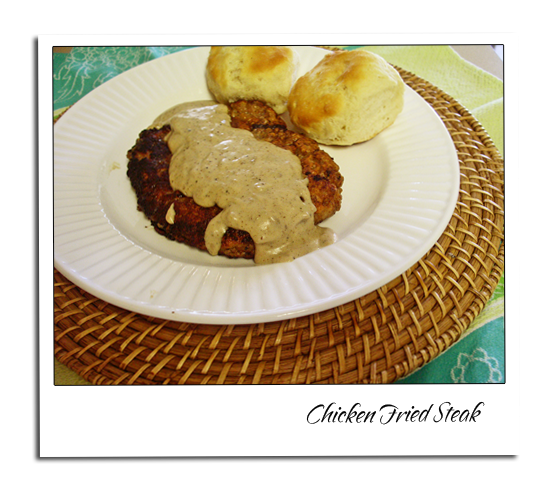 The actual term “chicken fried steak” was probably developed in the 1930s. 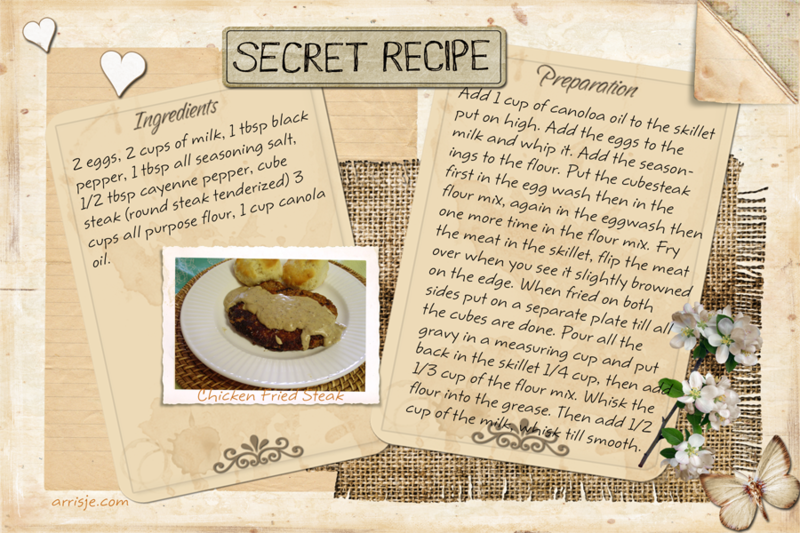 It is possible the name change for this recipe was due to the war with Germany. Add 1 cup of canola oil to the skillet and put on high. You need to have 2 dishes one for the egg wash and one for the flour. Add the eggs to the buttermilk or milk and whip it. Add the seasonings to the flour. 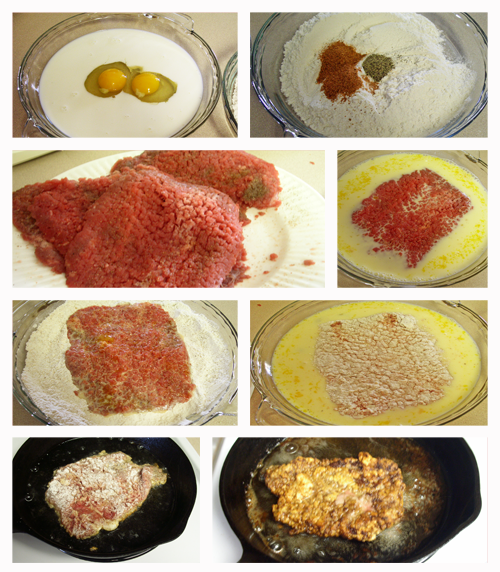 Put the cube steak first in the egg wash then in the flour mix, again in the egg wash then one more time in the flour mix. Fry the meat in the skillet, flip the meat over when you see it slightly browned on the edges. When fried on both sides put on a separate plate till all the cubes are done. To make the gravy pour all the gravy in a measuring cup and put back in the skillet 1/4 cup, then add 1/3 cup of the flour mix. Whisk the flour into the grease. Then add 1/2 cup of the milk, whisk till smooth. If the gravy is too thick for you just add some more milk. Pour the gravy over the meat. To make the gravy pour all the gravy in a measuring cup and put back in the skillet ¼ cup, then add ⅓ cup of the flour mix. Whisk the flour into the grease. Then add ½ cup of the milk, whisk till smooth. If the gravy is too thick for you just add some more milk. Pour the gravy over the meat.